Employing a crew to do all the hard work for you is quite common especially at sea and over long distances where a boat owner may not have quite the level of experience to skipper the vessel themselves or may simply wish to relax and let others take the strain. There are numerous websites and sailing magazines which can help you find a crew for your boat. 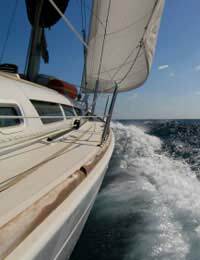 Whether it’s an agency or simply a sailing forum which has a ‘help wanted’ message board, you can often find an experienced crew who will be available to meet your needs or, alternatively, you may advertise for one or two individuals whom you feel will possess the skills you might need to add for a particular trip. When looking for a crew, you’ll want to know more about them first and to provide them with more information so that they can tell you if it’s the kind of trip they’re looking to work on. If you’re employing a full crew including a skipper, try to get contact details of people whose boats they’ve crewed on before. You’ll also need to provide them with details of the dates, destination(s) and duration you’ll be requiring them for as well as other details they’re likely to want to know. In fact, where possible, it’s always beneficial if you meet the crew, or at least the skipper, in person first before coming to any firm agreement although that might not always be possible if you’re picking them up en route some distance away and you’d then have to rely on references and reputations alongside any phone conversations you’ll have beforehand. You’ll need to establish what’s expected from the crew and what your ‘rules’ are. For example, you may wish to tell them it’s a ‘non-smoking’ boat. Also be prepared to provide them with comprehensive information about the boat itself and the specifics of any equipment they’d need to be able to operate onboard. Let them know the accommodation layout and the nature of the trip you intend to make .i.e. crews often like to know whether it’s speed in getting to the destination or comfort which is most important to the boat owner. In other words, try to give them an indication as to the type of atmosphere they can expect onboard. Make sure you tell them what kind of gear will be supplied by you on board and what they may need to bring for themselves. There are a number of other considerations both you and the potential crew should have a mutual understanding about before you both agree to a contract of employment. Obviously, if you’re arranging it independently, they’ll need to know how much you’re paying them and how and when they can expect to be paid. Make sure that insurance issues are discussed and make it clear whether or not their own personal belongings will be covered under your insurance or if they’d need to make their own provisions for that. If you’re travelling in certain overseas waters, you may also need to ask them to make passport, currency and visa arrangements. Also, let them know if you intend staying at the destination for some time and that they’d need to make their own way back. Establish things like expenses and what would and would not be included in the overall ‘package’ you’re offering. No doubt there will be many other questions you’ll want to ask them and likewise, you should be prepared to answer any questions that the skipper or crew might have for you before coming to a firm, legally binding agreement.